Celebrity** deaths don’t generally affect me too much. Usually by the end of the news cycle, their death has slipped my mind. That wasn’t true for Robin Williams who has remained unique in that respect-and I suspect he may be joined by Luke Perry. Williams’ movies, Perry’s Dylan McKay. <3 RIP Luke Perry, 52 is way too young to die. 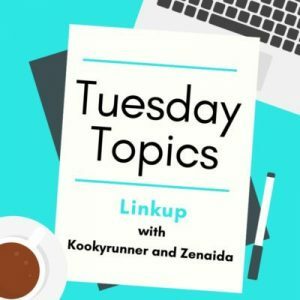 Not the non-sequitur it seems like, as I’m linking up with Kim and Zenaida to discuss running wish lists in this week of Tuesday Topics. I’m avoiding the obvious: unlimited funds, vacation days to run all the races and weekends with long run weather. Those seem about as concrete as wishing for world peace. Lofty, but not realistic in terms of a wish list. for New Balance to stop changing the shoes. While the Achilles injury wasn’t a result of shoe model changing, I didn’t have a third pair of Vongo 2s and it’s nerve wracking to find a shoe that works while your gait is muddled for other reasons. I hate worrying if a shoe is going to cause me pain. A healthy and solid training cycle for the marathon. I don’t think this is a unicorn. I think I’m building the base for it in PT and with the runs I can get in now, I just hope it pays off and I’m able to complete the sixteen week cycle. It’s going to be a fun journey. Myrtle Beach Half: 2020 maybe. Friends have talked about it and it seems to be a great time of year (1st weekend in March) before the weather gets too bad. Have local friends so could be fun weekend away. Space Coast Half: could be a fun birthday-adjacent getaway. I loved this part of Florida when mom & I stopped there en route to St. Augustine a few years ago. A race in a foreign country. I’ve run in four so far, but no races. I have to think on this as I don ‘t always prioritize timing vacations around races, but this would be fun. My number one non-running bucket list is to see all fifty states before I turn 50. It’s doable. Do you differentiate between a wish list and a bucket list? 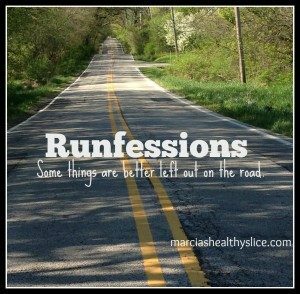 What’s one thing on your non-running wish and/or bucket list? Is there a celebrity or other person you never met whose death stuck with you? ** For me this means TV/movie celebrity. Other famous people’s have stuck. Princess Diana and Mickey Mantle for two. For her, I spent most of my freshman year of college writing about her in various classes. Still remember exactly where I was (bowling alley) when we learned of her accident. And Mickey Mantle was in that weird, pre-internet everywhere era. We were traveling to San Francisco and I worried I wouldn’t hear of his death if it happened while we were away. I didn’t quite realize the extent to which he’d be nationwide news. I have the same first two wishes as you for sure. Well no, all of them actually! I am not even having that THIS marathon cycle as I feel my cold at the start of the year set me back. But it’s not going horribly. I would also like to run Reykjavik marathon now I know how to do one, and I want to come and do New York with you one year! I was devastated when we lost John Peel from the radio, I was sad about Diana but for the waste and her children, not in the overwhelming way. But there’s people I know are going to be awful, which is a worry as you get older and they are even older! Yes. Cannot wait for that run together to be a reality. My original plan was a destination one like you did Reykjavik, but couldn’t resist the siren call of NY. The pants have become ridiculous. I said to a friend I feel like they’re no longer sized for 5’5, but even taller. I was not a fan of 90210, so also not a Luke Perry fan (not that I disliked the man, mind you, just never really saw him in much). Agreed 52 is far too young — especially as I’m older than that. I’d also like to see all 50 states. No time limits. I don’t want to have my experience rushed when I’m there (unless it’s somewhere I’m not super stoked to visit). Even my Savannah trip was shorter than I really wanted it to be, but that was just circumstances. And of course I didn’t start working on that goal until I was already over 50. I had thought about Myrtle Beach for a long time, but I really think I’d like to do Kiawah Island. Even thought about it for this year (and well every year for the past 3 years or so) but i don’t think it will happen this year either. I’d like to also visit Charleston when I’m there. Like GA, I have only ever driven through SC, not stayed there. I hear you on tights for the petites! I’m even shorter. But I actually do like SS tights. I don’t fold over the waistband, but everyone likes that to sit at a different point so it’s a very individual thing. It’s not so much a time limit on the 50 before 50 as a fun goal. I”m somewhere around 50 now and the only real challenging ones will be Alaska and North Dakota I think. But yes I want to take my time to explore. A few years ago we stopped in Delaware just to be sure we did because we weren’t sure if we ever had. I haven’t tried any SS tights, just the Lotta Breeze capris. Luckily I rarely need tights. Darlene and I were laughing today — she had sunglass and buff adjustments, I had “tights are falling off”. Good problem though as they’re too big. Luke Perry’s passing hit me HARD yesterday. I wasn’t expecting it too, but it definitely did. He was so young 🙁 My heart goes out to his friends and family. I love your wish list, especially the one about companies not changing their sneakers so much from model to model. It’s very frustrating! I just want to keep running and if I could really have something that I want, it would be to have my endurance back. I’d love to give up the run/walk intervals! I was a big fan of 90210 but not really of Dylan McKay. I remembered when Brooks came out with the Launch 3 and I hated it. I loved the 2, 4, 5, and the 6 is awesome. The 50 states is doable. Time consuming for sure but lots of fun. I am almost done with my goal. I’m somewhere around 40. Need to double check my count before I go away this spring as I’ll pick up a few more. I think we were all stunned by the sudden death of Luke. He was everyone’s college boyfriend dream right? It’s also so shocking bc he is my husband’s age and just a few years older than I am. Scary! Yes! Although I knew he was older than his character during 90210’s run, he still seems like teenage Dylan. No one should die at 52. I guess a wishlist is something more short-term and a bucket list item is more long-term…I never thought of the difference! His death, Heath Ledger and Prince weren’t personally powerful for me but I’ll always remember the prairie dogging that happened in our cube farm as news spread. For running shoes to not change every six months is a great request and makes a lot of common sense. Here’s hoping Brooks is listening as well as New Balance!